Sioux, like the Sphinx, expects many questions. Answers are rare. Why such a long and complicated name? Why the girly nickname? Exactly what is going on with the cat’s gender? Why the funny spelling? Why Bubbs, or Bubbles? Well, like Sioux himself, his name has an excellent if roundabout pedigree. When Suzie was a baby kitten, and first arrived at his new home from his original nursery, the humans involved had no idea if he was female or male. 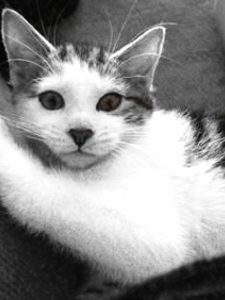 Humans almost never know a young kitten’s gender, finding it difficult to determine. This is because the openings under young kittens tails appear very similar, since a male kitten’s testicles have not yet descended to fill the scrotal sac. Oliy chose ‘Bubbs’ as a name, and said it was because the kitten has a bubbly personality. Fair enough, thought Bubbs; after all, he did. 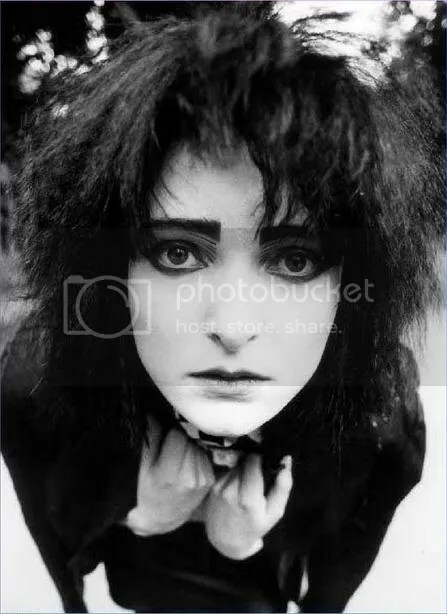 Siouxsie Sioux, the great punk singer, real name Susan Ballion. Ballion? Never heard that name before, but a little digging reveals a Scottish word, meaning a knapsack, a tinker’s box, or any box you can carry on your back. But we can go further back in time: the Egyptian word B3h, meaning ‘foreskin or phallus’, it has been suggested, may be traced to an indo-european root word ‘b-l’. Meanwhile, the Greek word phallus was replaced in later Ionian with Ballion. When it became obvious he was dropping testicles, not ballions, at the appointed time, it was felt a cat need not conform to human genders, so the names stuck. Suzie was a good name as was Bubbs. Put together they make Suzie Bubbs. Alternatively, Sioux sounds exactly the same as Sue, but the spelling isn’t a girl’s name, so that seemed like a good idea. Hence: Sioux ‘Suzie’ Bubbs. But what a complicated identity! Let’s see if we can unpick the name any more for the history of its ideas, like we did with ‘Ballion’. Most people know this name for a particular nation or group of Native American peoples, native since before early modern Europeans came to colonise in the late 15th century. What many do not know is that the Sioux called themselves the Dakota people, or Lakota in some transliterations. The name Dakota means the Allies. The word Sioux, not a Dakota word at all, was what the Dakota were called by the Anishinabe people. When the Anishinabe wanted to refer to the Dakota, they would say ‘Sioux’, just as we might say ‘Yank’ when we refer to an American. Suzie’s not sure how friendly the Anishinabe were with the Dakota, but the word Sioux does not mean ‘the Allies’. It means ‘Little Snakes’. Like Susan amongst human names, Suzie is short for Susanna, a fine old name from Hebrew via Greek. It means ‘lily’, which is toxic to cats, but may come from the Egyptian name Sšn, meaning ‘lotus’. Short for bubbles, a much younger word, noted from the early 14th century, and may come from the Dutch word bobble. According to a google translation from the Dutch wikipedia, ‘Bobble’ means a bump or lump on the body, and “in sexual terms: visibility of masculinity”. How ironic, in the midst of all this confusion, Angela chose a name which traces to an ancient word for lotus, after Siouxsie Sioux (or Little snake), while Oliy chose a name which means testicles. That’s the etymological translation of ‘Sioux Suzie Bubbles’. Suzie Bubbs shares the decree of this deeper name for educational purposes in good faith, and will not be responsible for the consequences if it is used a form of address. More posts in this category, History of Suzie Bubbs coming soon.